Inspiration for nail art is everywhere, and "inspired by" posts are so fun to do (remember my giraffes, pen inspired and Marc Jacobs inspired?) for this design I was browsing around a Kipling shop and found the cutest purse, when I got home I looked it up online and had a go at some nail art. 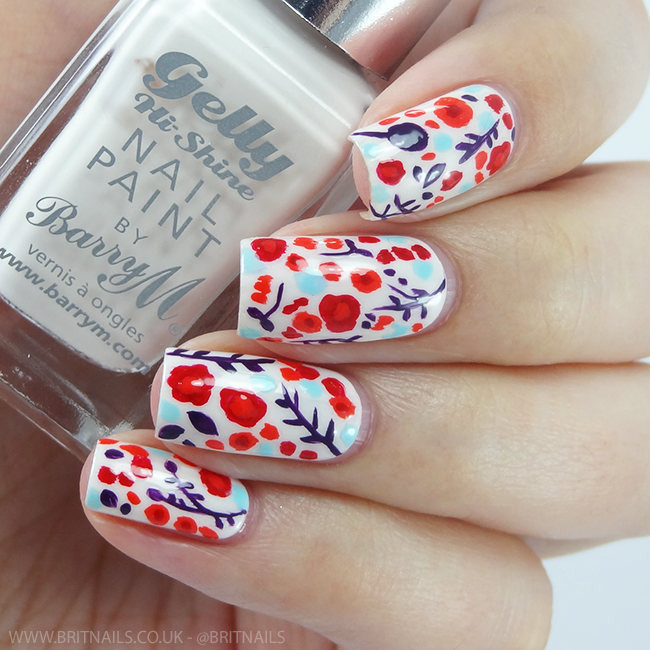 I started with a plain base and freehanded on the florals with a nail art brush, using all Barry M Gellies. It didn't take too long at all since I didn't have to be super neat about it (thank god) and I finished with a lick of top coat. 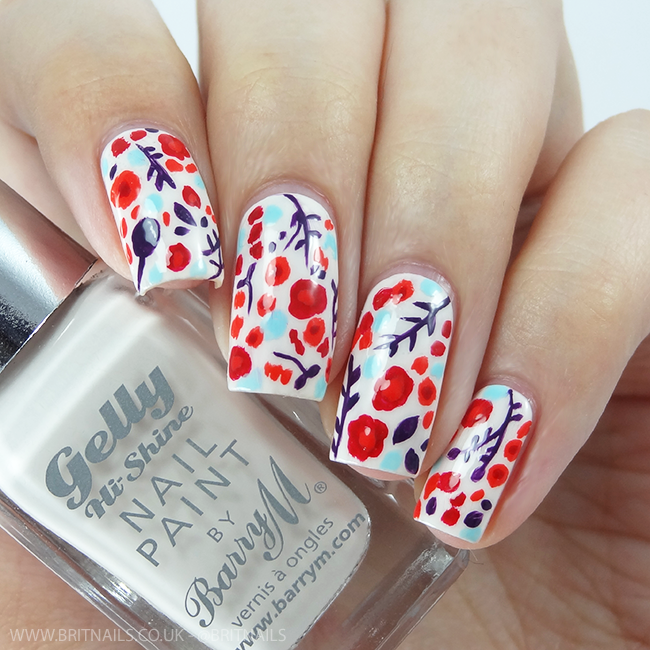 The Gelly shades I used are Lychee, Blood Orange, Satsuma, Plum and Sky Blue. Purse image from amazon. Wish I could have bought it! OMG this is such a gorgeous print! You recreated that purse so perfectly. I love the colour scheme!! OH! 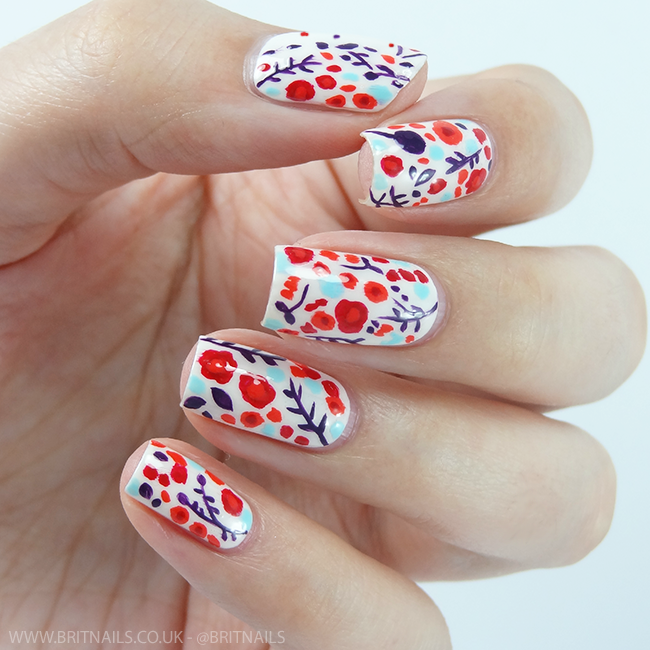 That design looks amazing on your nails, really lovey! Wow, so well done! Love it!